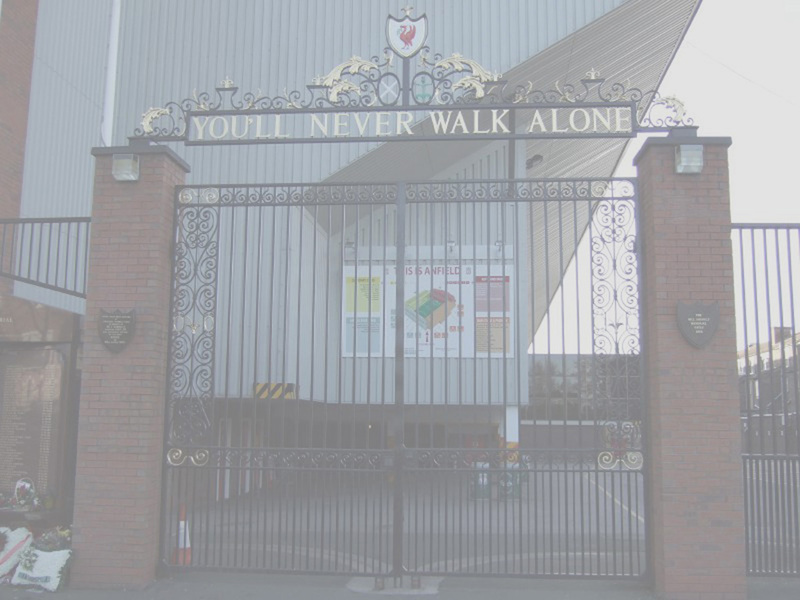 Liverpool used pinstriped kits both for home and away pattern from 1982-1984. 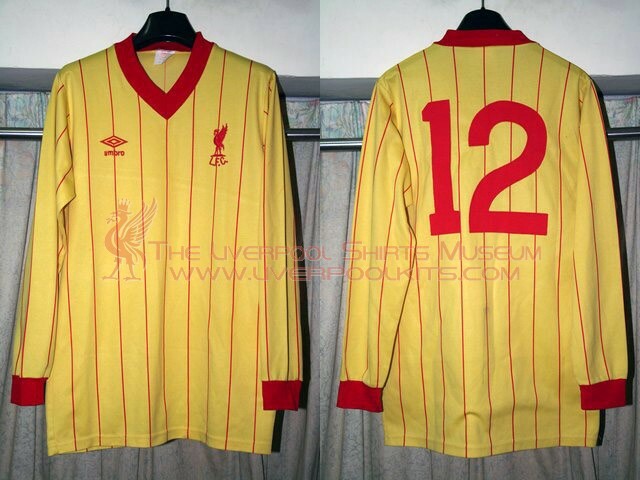 For this yellow away pinstriped shirt used, there existed several different versions of sponsorship logo. This one lacks the sponsor logo. 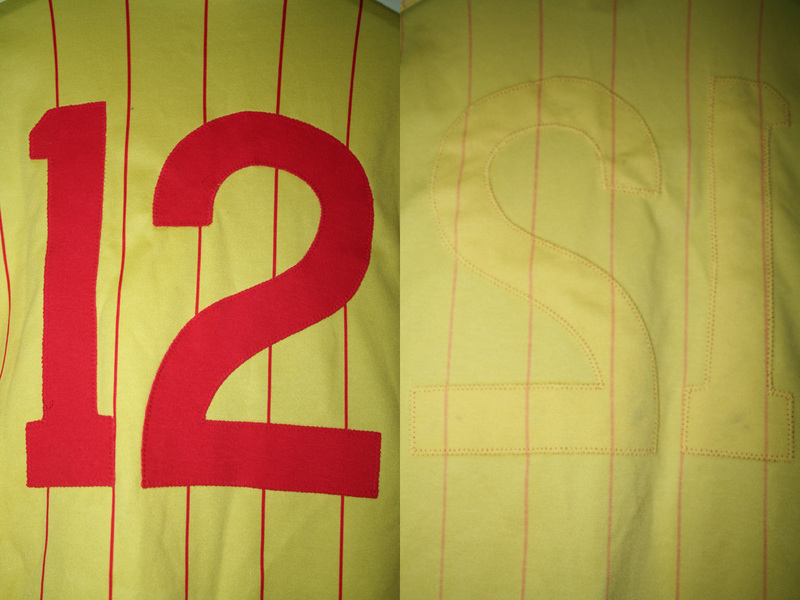 Liverpool 1982-1984 Away Player Shirt (no sponsor) - Number 12 shirt belongs to Jimmy Case. Featured Alan Kennedy in the yellow pinstriped shirt without a sponsor. 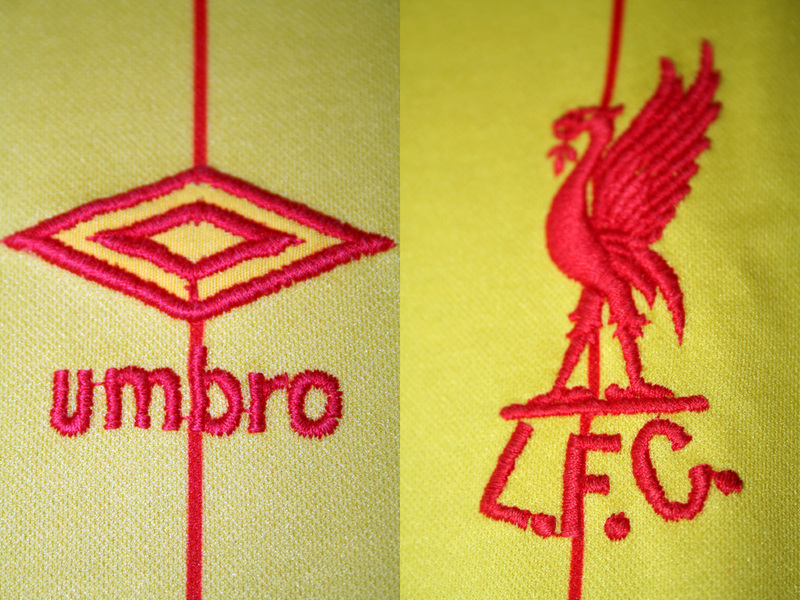 Both the Umbro motif and Liverbird are fully embroidered on a genuine player shirt. 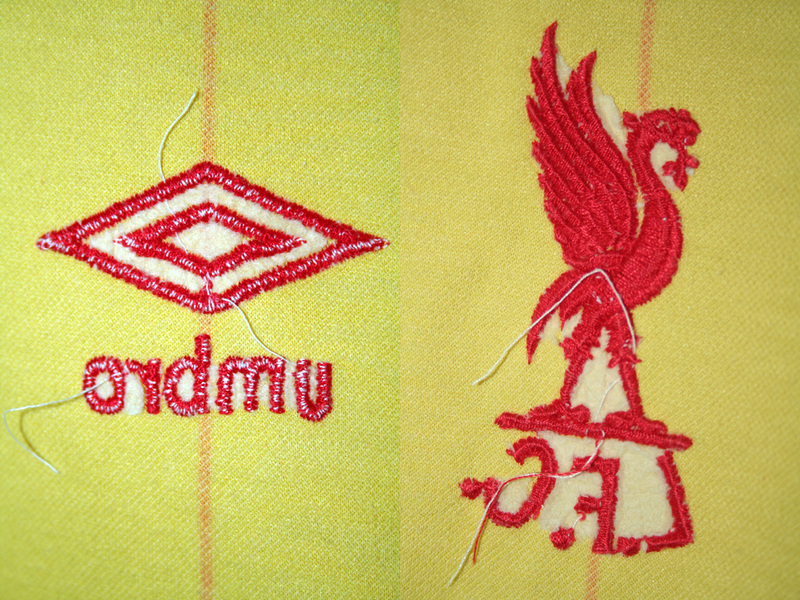 If we look from the inner side of the shirt, the effect of embroidery is clear. 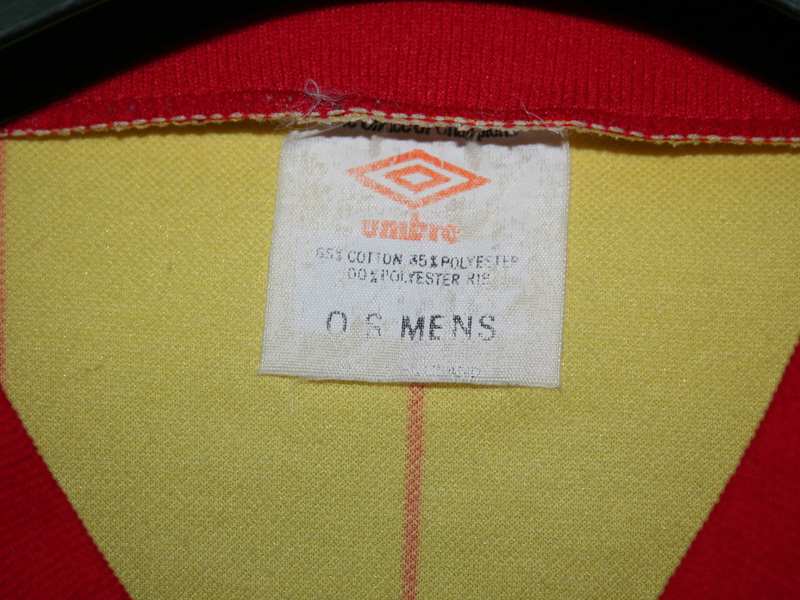 Genuine 1970s-1980s Umbro era player shirts have worded colar size tag instead of numbered collar size tag. As usual, machine stitched cloth number is found on genuine player shirt's backside.